The boss of Britain's largest independent bookmaker yesterday said a staff email warning of the potential consequences of a change in government had been "willfully misinterpreted" after it was leaked on Twitter. In the internal message sent the day before last week's general election Greg Knight, managing director of Jennings Racing, told staff the business could fold and all jobs would be lost if the maximum stakes for playing Fixed Odds Betting Terminals were reduced below £10. Fobt stakes and prizes were put under review by the Conservative government but a report delayed until after the election. However both Labour and Liberal Democrats have committed to introducing a £2 maximum stake. Knight outlines the parties' positions in the email, adding it was "quite possible [probable even]" that stakes would be reduced. "The industry could survive a small/medium cut but if stakes are reduced to less than say £25 then the future looks poor," he said. "If they are reduced to less than £10 then I think it is no exaggeration to say that the business will be unable to continue and all jobs would be lost. It really is that stark." Yesterday Knight denied he was telling staff how to vote or risk losing their jobs and claimed the subsequent furore on social media had been politically motivated. "I am very disappointed that somebody has considered that to be a step too far from me," he said. "When any of us vote we have to weigh up a number of factors. All I have done is introduce another factor. "People have wilfully misinterpreted my email. The second line says it is not my place to meddle. I would absolutely challenge anybody to tell me any part of that email which is not factually correct and I think it is extremely important that people working in this industry understand how serious this review is. "I can't quite understand why it is okay for a celebrity to stand up and tell people how to vote and yet somebody who is just clearly laying down known fact is pilloried." There was already speculation that the review, which had been delayed until the autumn, would call for a stakes reduction from £100 to as low as £10 to £20 but analysts of the sector have subsequently suggested a hung parliament could lead to pressure to go further, which bookmakers have claimed would lead to thousands of betting shops closing with serious consequences for the funding of horse and greyhound racing. 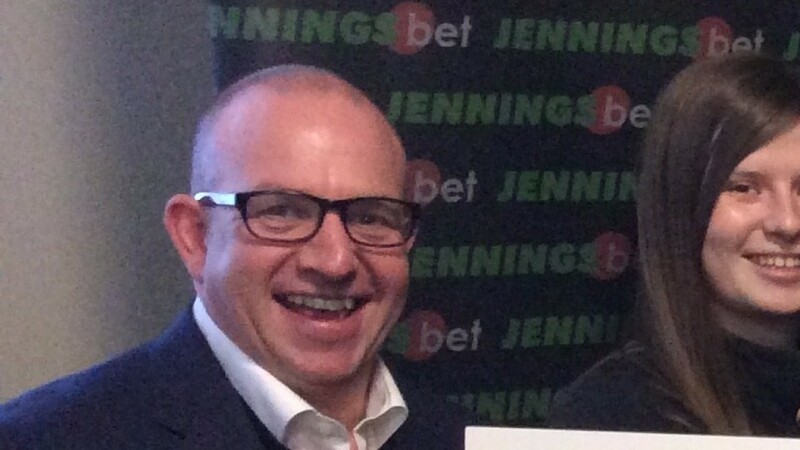 There are 100 shops under the JenningsBet brand and Knight said: "Whilst there are figures that maybe half the betting shops in the UK may close, the independent sector has the shortest pockets. There is not one business in the UK that can afford to lose 55 per cent of its income and survive. "For some reason the dialogue has managed to fix itself on a £2 stake. That's a 98 per cent cut. I can't think of any other industry that would be faced with such a draconian measure."